At the outset of 2012, Jessi Hall (née James) faced a conundrum: having recorded what was largely a solo album under the moniker Bethan in New York — the beat-heavy EP, Chapter 1 — she and husband Daniel Hall asked themselves what Bethan should be. Lacking an inspirational spark, Jessi aspired to develop Bethan as a fully-fleshed band. Fast forward to 2014: now a quintet based in Dallas, Texas, the Halls with Becki Howard (violin), Kevin Howard (keys) and Jesse Hopkins (bass) have just released their first LP, Time Gone By. A debut of sorts, this outing finds Bethan as an entirely different act. Setting the tone from the outset of Time Gone By with the wilting opener “Low Expectations,” a questioning worldview resides on the campy, deflating piano ballad “We Are All Expiring,” the symphonic “Melancholia” and closing adagio “Don’t Be Afraid to Lie to Yourself.” Hall’s buoyant vocals hover over the wistful “Out West” and the creeping beat of album standout “I Need a Pill to Help Me Sleep,” a fantastical haze of cinematic black and white dreams. 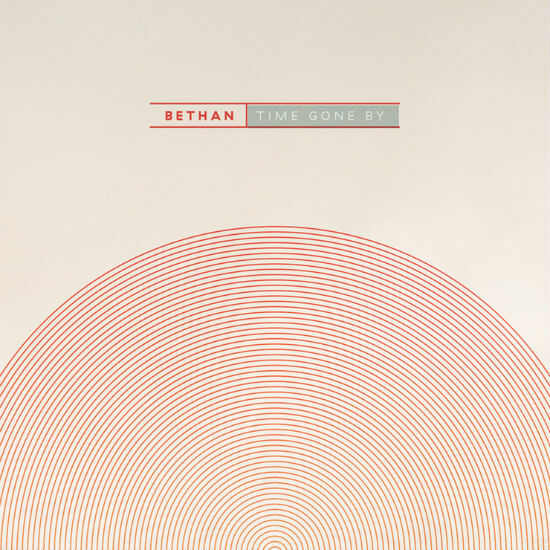 Under the direction of producer McKenzie Smith (Midlake), Bethan has firmly arrived on an intriguing sound. Achieving their 2012 goal, the aptly named Time Gone By is a document of a singer and band finding their true voice on a stunning calling card that floats along the periphery of the last century. Bethan will be playing a record release show this Saturday 11 October at Three Links in Dallas. Until then, you can stream “I Need a Pill to Help Me Sleep” below and purchase Time Gone By via Velvet Blue Music.